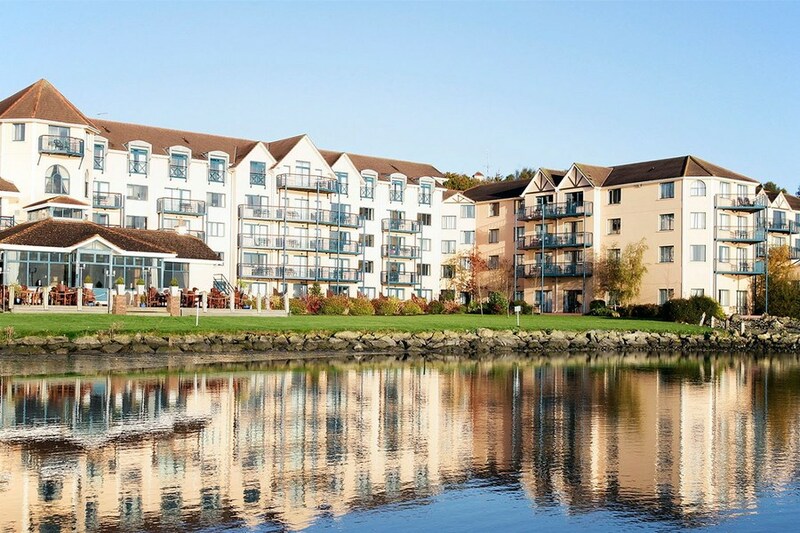 The Ferrycarrig Hotel boasts one of the most inspiring locations of any hotel in Ireland. 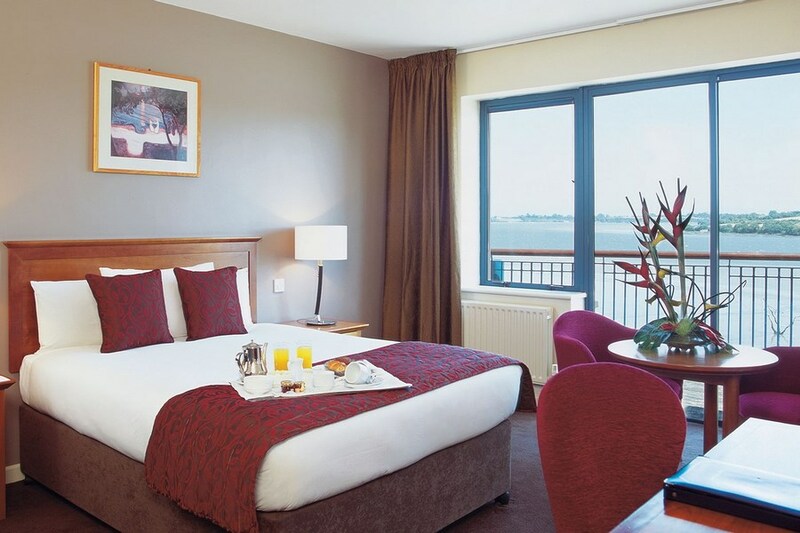 Every guestroom and suite boasts stunning, sweeping views across the River Slaney estuary. Our 20M pool has a dedicated shallow area, beautiful river views and relaxation deck while our poolside spa area is equipped with jacuzzi, steam-room and sauna. The four star Ferrycarrig Hotel has a fantastic location, situated 2kms outside vibrant Wexford town in the peaceful and picturesque townland of Ferrycarrig. 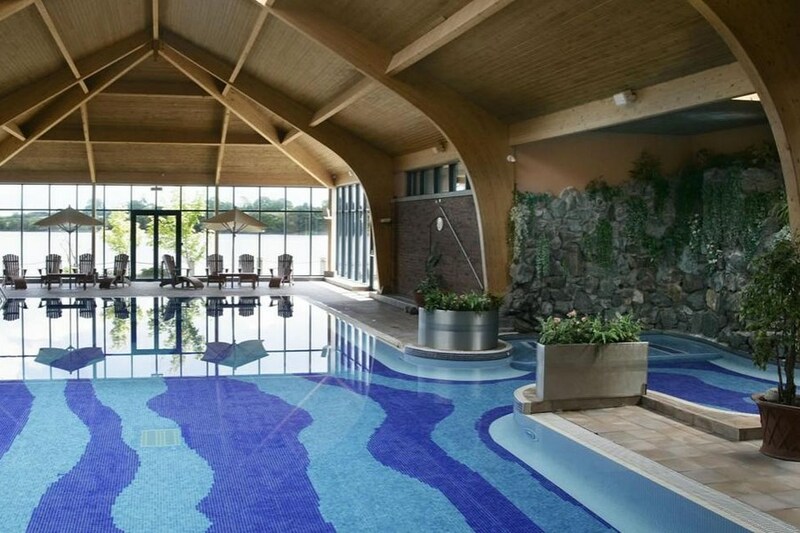 Ferrycarrig Hotel boasts one of the most inspiring and spectacular locations of any hotel in Ireland. Active Days for the young at heart, from the towering Blackstairs Mountains to our magnificent beaches, the diversity and beauty of Wexford is being increasingly enjoyed by visitors looking for something a little different to more crowded destinations. Really enjoyed my stay, food was amazing, the staff were very friendly. Would definitely return. Great room. Bathroom could have done with towel rails. Staff overall very friendly and helpful. Had food in bar. Starters only luke warm, main dish fine. Great facilities. Will return. Super hotel and great value. Absolutely lovely stay here in Ferrycarrig. The staff were absolutely lovely and could not have done enough to help us! Only critique I would have was there was an awful lot of communions on and we went to the bar for some food and drinks and couldn't get a table. Not a huge problem as families had the right to be there for communions was just a little unfortunate. All in all we would go back in a heartbeat! clean room and very good restaurant - though did have a funny tummy next morning. Dining room staff were poor at communication and not what one expects in a restaurant. Great location, great views, nice food and staff. Good size room with nice view. Excellent Gym and pool. Overall a nice spot. Parts of the hotel are a bit dated. the lift was damp and smelly. Our Shower head was broken and water went everywhere, Bed was OK. But these are only small things. Overall 7 out of 10. Would I go back again.........unlikely as there are better for same cost ! Cannot compliment this hotel enough. Staff and the food is magnificent. Very pleasant stay at The Ferrycarrig Hotle. The staff are very helpful and attentive. The pool and wellness area are also great. The food was very tastey and not too pricey either. I would return to the hotel without hesitation and hope to do so in the near future! Fab Hotel. Would have to seriously look for something to fault. Friendly, professional staff. Stunning location and views. Food and drink excellent. All the facilities you need. Am very fussy about hotels and this place is the bees knees. 5 stars. 3 stars room overlooked a flat roof full of lovely cigarette butts! Staff were fabulous though and food delicious. Rooms poor. Fantastic family friendly hotel. Staff very friendly, welcoming and helpful, great facilities including a beautiful pool, nice gym. Food is very high quality, with innovative menu in the restaurant and good bar food too. The hotel has a very clean baby prep room with fridge, steriliser microwave and there is a little playground for the kids. Definitely recommend. we had a lovely break in the hotel,reception staff were extremely busy when we arrived but very professional and prompt! food in the bar is quite pricey, no extra trimmings like salad etc with the burger, don't like to be too fussy but the 'eton mess'served in the jar was very poor, two strawberries and a little cream and meringue for €5 was poor value. Breakfast was lovely. Very clean hotel. we really enjoyed out stay, room was perfect, food delicious and leisure centre was very enjoyable, clean and well maintained. staff very friendly and also discrete. Kids really enjoyed the experience also and plemty to do and see in wexford. The pool area was dirty and dusty. Pool tiles broken and a lot of rubble on the pool floor. Bar area small for the size of the hotel. Kids club was excellent but far from the bar area, though well supervised. Rooms were lovely, bathrooms very dated. Staff were fabulous. Lovely hotel, nice room. and great views. Dinner in Reeds restaurant was 4 stars as you would expect. we had good music and songs in bar afterwards. Had a lovely stay in the Ferrycarrig hotel in Wexford. The staff were extremely friendly, food was great and the accommodation excellent. I would recommend to a friend and definitely go back for another stay. Just back from a 3 night break in The Ferrycarraig Hotel, Wexford. Service was fanatstic, great place for kids. Everyone was very helpful and obliging, especially Dara on reception. The only negative would be the food in the bar was a bit pricy but other than that evrything was lovely. Excellent Hotel & Location. Staff were friendliest we have encountered in a long while. Will certainly return. Disappointed with the room. Supposed to have got a family room with a double bed, two single beds and the cot for a baby. Instead I was fobbed off with a smaller room with only one single bed, so the children were left sharing a single bed. Also dined in the resteraunt, portions were so small that the children were even complaining. Very disappointed won't be returning. I stayed her with my husband and two children for 3 nights.staff were very friendly and helpful.The swimming pool was great the kids loved it.The hotel was in a great location with a fantastic view of the river and surrounding areas.Food was great very good service all in all it was a great stay would definitely go back. We have just recently returned from the FerryCarrig and we were very satisfied with the standard of the hotel. There is a kids club and decent size swimming pool which is kept very clean. The breakfast was very good and the meal we had on the first night we arrived was good value with big portions on the kids menu. If I have any faults is that the room was dated especially the bathroom but nonetheless spotless. I would and probably will return to stay again, so overall 8/10. Had another lovely break at the Ferrycarrig Hotel in Wexford. Really you cannot beat this Hotel for location and atmosphere. Sitting on the dry dock having a relaxing drink while looking out at the water. This was my third time staying here and I cannot see myself staying anywhere else in Wexford. Just returned home after a great family break at the Ferrycarrig Hotel. Family room was very airy and plently of room for the 4 of us. Staff were very friendly and helpful. The only downside of our stay at the hotel was the food. Would stay there again but would opt for just B&B option. really enjoyed our recent stay at ferrycarrig hotel, room was lovely and staff very helpful. Came here for a wedding. Great food, great view over the river (Slaney I think), lovely rooms, great breakfast, friendly staff. A stand-up four star hotel and a pleasant relaxing stay to say the least! myself and my wife stayed in the ferrycarrig hotel wexford for three nights bb/1 evening dinner, meals were good in the restaurant but hotel bar food was disappointing .we would not consider this hotel to be a four star hotel more like a three star and would not want to pay any more for it then we did ,it needs a bit of modernizing but saying that it was clean . Lovely hotel with great views of the river. The hotel room was clean and spacious and the staff friendly. Great pool and gym and kids club. Great breakfast buffet too. We will be going back! Great hotel, lovely setting. Brilliant for kids, no kids running riot and plenty of nooks for adults only as well.